A Guide to Japanese Music is a series I am starting here on Odigo that is focused on helping both residents and non residents of Japan make the most of their love for Japanese music. This is the first instalment. A Guide to Japanese Music Part 1: Buying Japanese CD's from overseas and having it count on the charts! Second only to the USA, Japan is one of the largest consumers of offline music releases in the entire world. Because of this, they're not overly bothered about the international fanbases of their current artists, and not only is it quite expensive to purchase CD's from overseas, purchases that aren't shipped to a Japanese address are written off the charts entirely. As someone who grew up in Canada with a love for Japanese music since I was a child, this has been a really upsetting obstacle for me. There are some people who might not be too bothered about how their favourite musicians chart - and that's completely fine! But for me, I usually find myself liking lesser popular idol groups and groups from Korea who are trying to make their mark in the Japanese industry, so I find I care quite a lot about how well they fare on the Oricon Charts. For those who don't know - the Oricon Charts are the largest and most prestigious physical music charts in Japan, and getting a high rank on these charts is an incredible feat for any artist, especially new and international. There's no better promotion in Japan than a single hitting the top five at the end of the week! They only count sales shipped to Japanese residential addresses or are purchased from a CD store in Japan. They will not count bulk buying - if you buy more than a few copies of any single or album on one purchase, they'll assume it is an attempt at chart manipulation and your order will not count on the charts. CDJapan: My personal favourite! Usually the cheapest for album and shipping combined. YesAsia: The CD's are overpriced, but if you buy enough for free shipping, it might pay off in the end. Now, moving on to the main part of the article - buying your CD from overseas and still having it count on the oricon charts! It is a little bit more expensive than just buying it from a regular website, but I'd say only 2 to 3 US dollars more - which is honestly nothing to a die-hard idol fan like me. Just keep that in mind - it is not the cheapest option if you're only buying one CD, but if you're buying multiple editions, it will definitely pay off in the end. First, find yourself a proxy. You can google this information easily, but the more famous ones include FromJapan and Samurai Buyer. However, I prefer to use the smaller, independently owned proxy buyers as this guarantees the albums will be shipped to a residential address. The one I most commonly use for ease of transaction and cost efficiency is No Country for Tall Men Exports. Do your research, though. Only you can decide which one works best for you. Second, figure out where you're going to buy your albums. If you're only planning on purchasing one, this will be easy, but if you want to buy a good handful to hand out to your local friends or do a group order, you'll want to purchase from multiple sites. 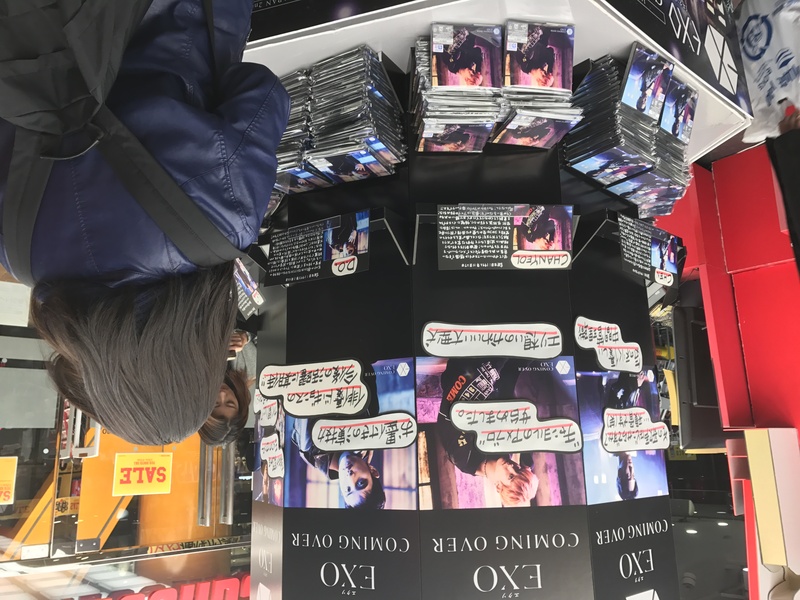 The biggest outlets in Japan for CD's are Tower Records and HMV.co.jp - just search the Japanese name of your single and find the links of each edition you want. All proxy buyers charge a small fee, so your first total will include the price of the album + their commission fee. Most online CD outlets in Japan do not charge shipping on albums if you spend over a certain amount! Third, once your proxy receives your album, they will tell you how much it will cost you to ship your album from Japan and to your house. Once you've paid that total, you're done! All you need to do now is wait for your albums, and when your favourite artists end up charting 1st on the Oricon Charts, you can say with confidence that you helped them do it! It's quite unfortunate that we as international fans have to struggle so hard just to support our favourite artists, but a lot of large distributors of Japanese Music are fighting to make the difference for us. Until then, though - we gotta do what we gotta do. It's fine if you can't contribute to the charts - a sale is still a sale, and the money is going to the people it is intended for. But for those of you, who, like me - might be a little too obsessed, I hope this guide was at least a little helpful to you. If you need any further help buying Japanese CD's online, don't hesitate to contact me here or on twitter, I'm more than willing to help!